The Grand Master is basically scotch and soda with a touch of peppermint schnapps. 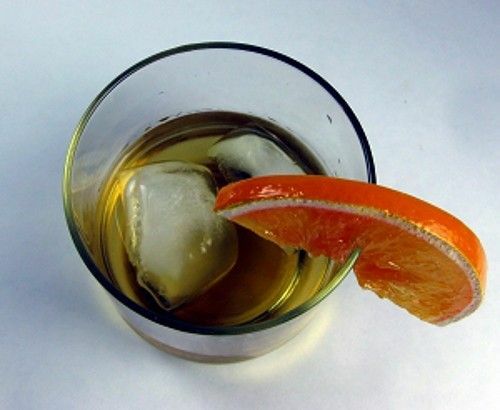 As with any whiskey based cocktail, you’ll want to choose a drinkable whiskey, but not one that’s special enough to be savored alone. Peppermint tends to bring out the oak and smoke notes in scotch, but then it overpowers them. It’s an interesting combination – not too sweet, not too earthy, and nicely smooth. Fill a highball glass most of the way with ice cubes. Pour in your ingredients and stir well. Garnish with a lemon twist.